Texan Girl Talks: Holy Nursing Convention! After being gone for 4.5 days it feels amazing to be home! NSNA Convention was AMAZING! Nashville, TN was beautiful. My nursing friends became my family. Here's some pictures of my journey! 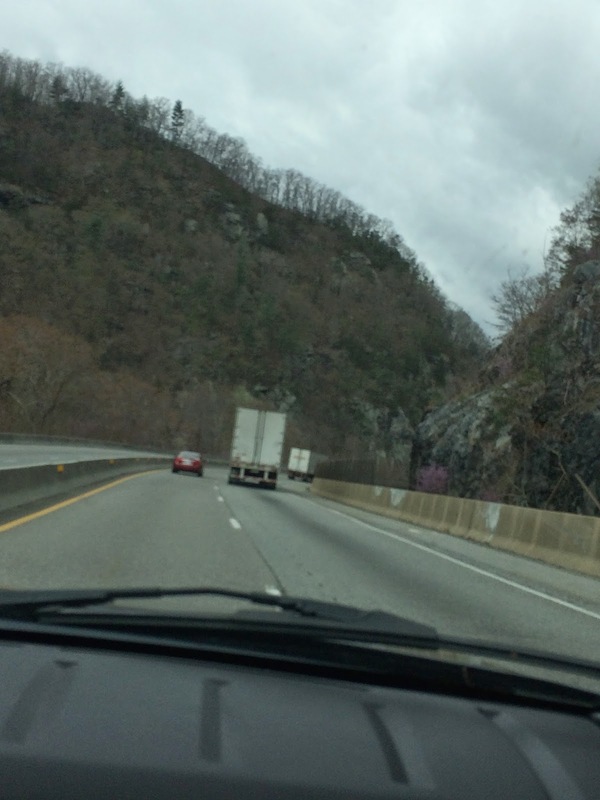 Here's where we started to see some of the mountains. 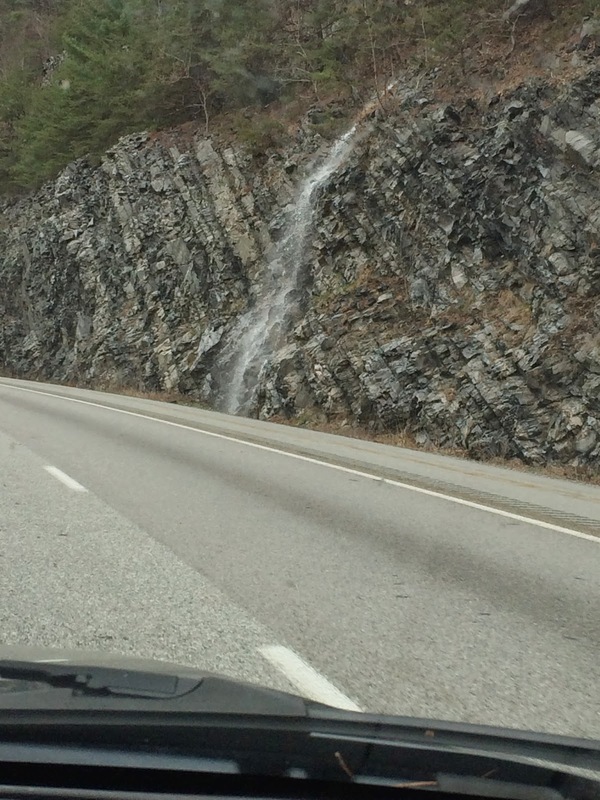 This might sound so silly, but I had NO IDEA THERE WERE WATERFALLS IN MOUNTAINS. I mean I know they exist, but I had never seen it (especially on the side of the road)! Not to mention the tunnels. 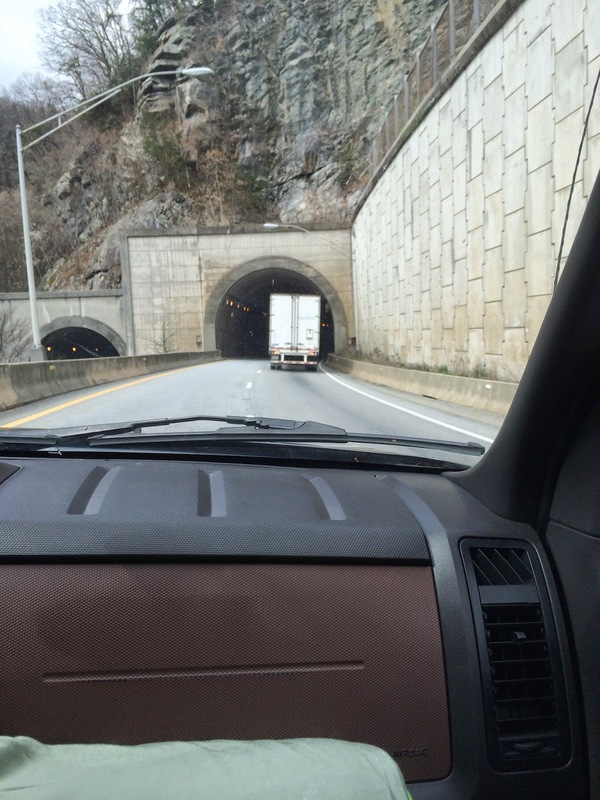 These tunnels are inside a mountain!!! Apparently, you're supposed to honk the whole way through them OR hold your breath! Traditions... This Texan learned a couple of things this week! On the way there... WE SAW A CHUY'S AND ATE THERE. OK. So many of you don't know my obsession with Mexican food. However, if you ask any Texan what their favorite food is Mexican food is probably up there next to Texan BBQ. I haven't eaten Chuy's since since I was home in December. Y'all, it was heaven. 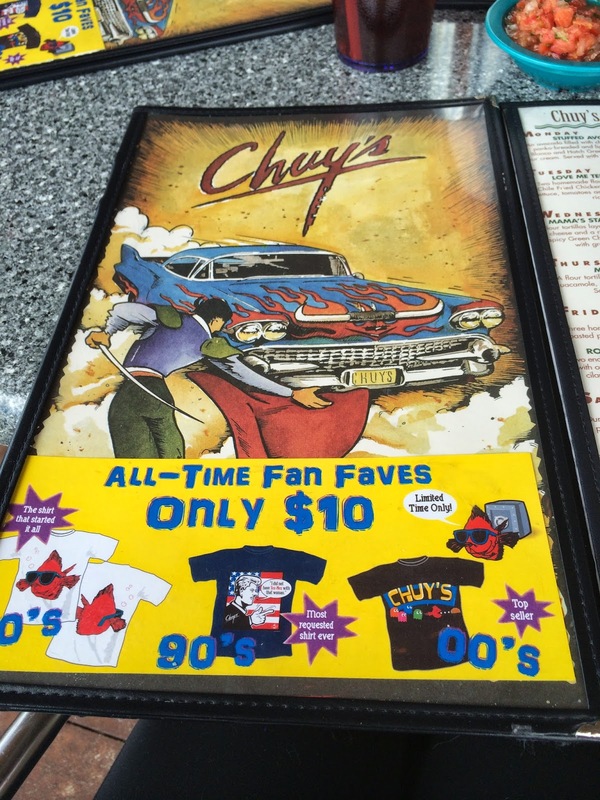 If there is a Chuy's near you, eat the jalapeño ranch with your chips and the Chika Chika Boom Boom enchiladas. Then we got to the hotel! OH M GEE. It was beautiful. 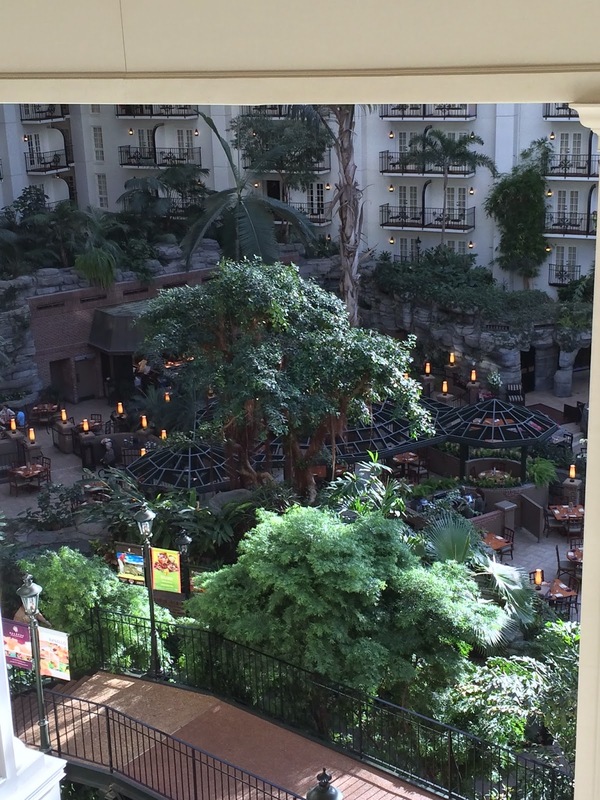 This hotel is inside of a bio-dome type structure. Everything is inside. Sorry I wasn't able to post the past couple of days. I'm blaming my crazy days on this crazy convention. The hours were long and we had to complete certain criteria for school while at the convention. I will post more on the trip soon! Did you ever go to conventions in college? Any nursing students out there? !